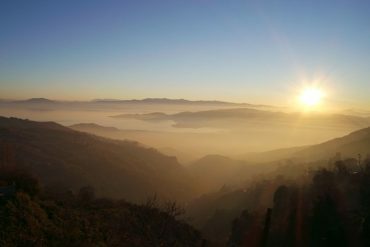 Corfu lies on the far northwest corner of Greece, just off the coast of the land border with Albania. Along with its small surrounding islands, it is the second largest Ionian islands. 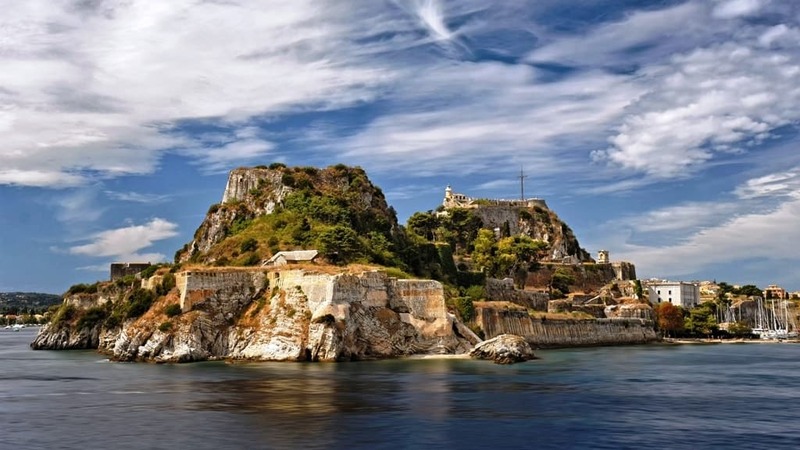 In history, Corfu was where a shipwrecked Odysseus sought refuge from the storms and where other travellers have rested. 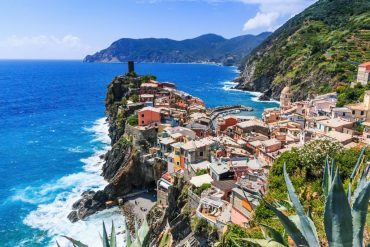 Its lush coastline, verdant hills, and sparkling bays have drawn visitors since the 8th century BC. 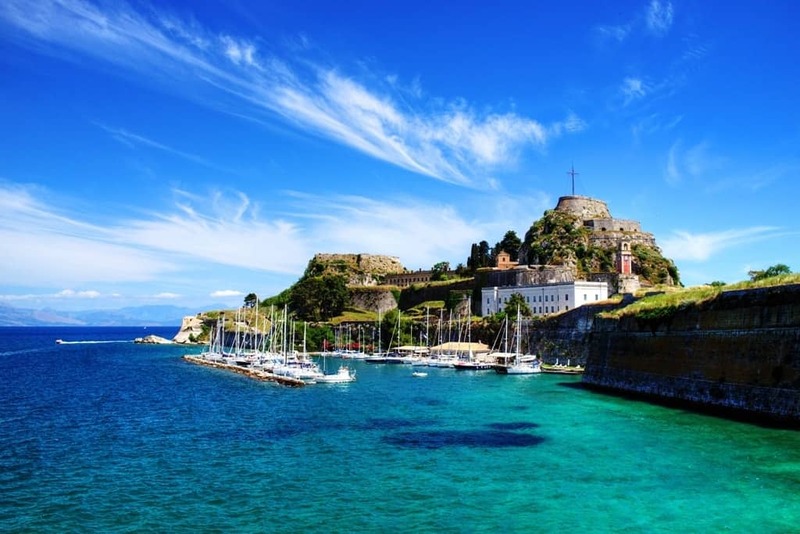 Corfu holds a location of strategic importance and has been fought over for centuries. Corfu town is the only Greek city whose castles surround the town, and one of the very few to have held off the Ottomans. 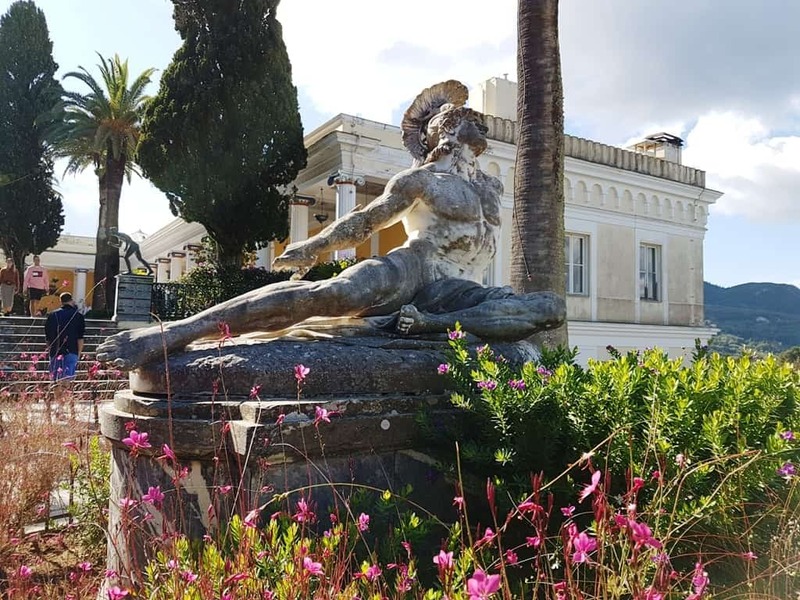 Instead of succumbing to the Ottoman invasion, Corfu remained in Venetian hands which gives it a very different feel to some of the other Greek Islands. There are three ways to get from Corfu airport to your destination on the island. By bus: There is a public bus (No 15) going to town and the port. It stops also at the Intercity bus station. From there you can take another bus to reach your final destination around the island. For more information check here. By Taxi: There are many taxis at the airport that can drive you anywhere on the island. By Private Transfer – Welcome Pick-Ups: You can pre-book and prepay your car online. A professional English speaking driver will be waiting for you at the airport holding a sign with your name, a bottle of water and the map of the island. Welcome Pick-Ups charge exactly as much as a regular taxi but give you the peace of mind. A ride from the airport to the port or town center costs 15 € during daytime 05:00 – 24:00 and 20 € during the night 00:00 – 05:00. A ride from the airport to Kavos will take approximately 60 minutes and costs 91€ (up to 4 people sharing a car). 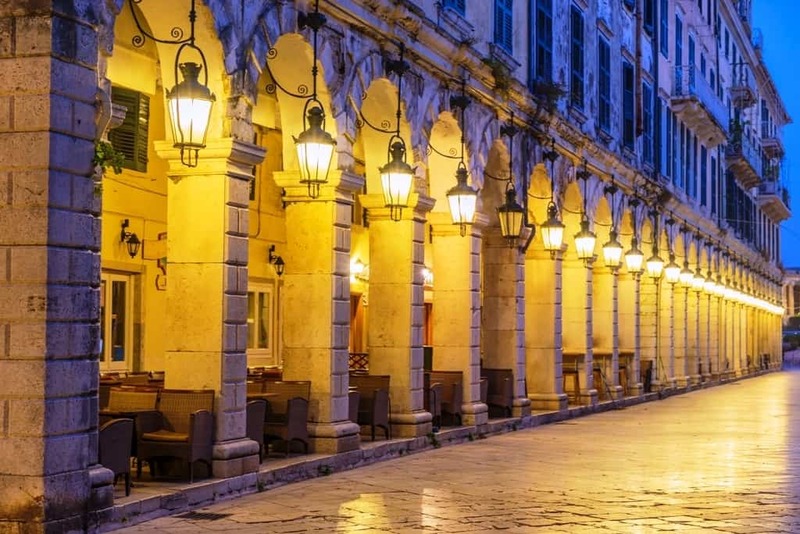 With abundant ruins, from antiquity to modern era, charming villages, golden beaches against a backdrop of turquoise seas, and warm Greek hospitality, there is plenty to see and do in Corfu. Here are some fun and interesting things to do. The Achilleion Palace was built in 1890 by the Austrian Empress Elisabeth, also known as Sisi, following the death of her only son. It was designed to represent an ancient Phoenician palace, with colonnades and sculptures around the grounds and dedicated to the Greek god Achilles. The Imperial garden has exceptional views of the surrounding valleys and Ionian Sea. Its history is varied; following Sisi’s death the estate went to her daughter, who sold it to the German Kaiser. In World War I it was a military hospital, then handed over to the Greek state and became an orphanage. In World War II, it was a military headquarters for the Axis Powers. The small palatial estate at Mon Repos was once the summer residence for a British official and his Corfiot wife. It remained in British hands for a while before being gifted to the Greek Royal Family. Prince Philip, Duke of Edinburgh, and Princess Alexia of Greece and Denmark were both born at Mon Repos. 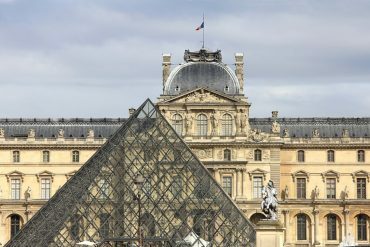 Today, the palace is the state archaeological museum. Kanoni, a small part of the Corfu town, is a popular spot for photography. It takes its name from the cannon atop the hill; at the base of the hill is the charming church of Panagia Vlacherna. Pontikonisi, or Mouse Island, is a five minute boat ride from the coast. Boats run regularly to this little island, which houses the church of Pantokrator. 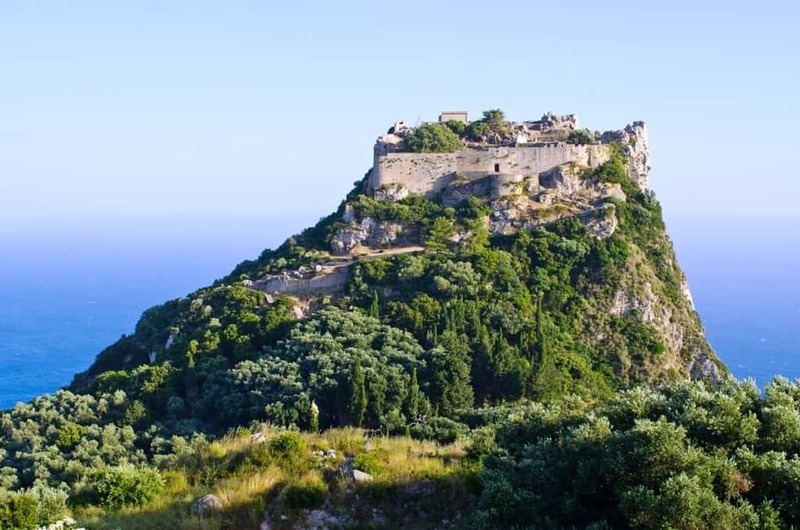 Angelokastro, or Angel’s Castle, is a Byzantine castle located atop one of Corfu’s highest peaks. Considered one of the most important Byzantine ruins on the island, its towering walls and ringed fortress were successful in repelling the Ottoman Turks in their attempted invasion. Angelokastro is located in the far northwest of the island, near the town of Palaiokastritsa. 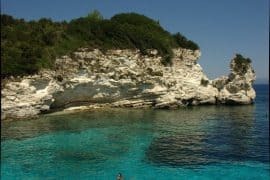 Take a day cruise from Corfu south to the tiny islands of Paxos and Antipaxos. These two islands, considered the gems of the Ionian, are famous for their blue caves, fishing villages, and crystal clear waters. 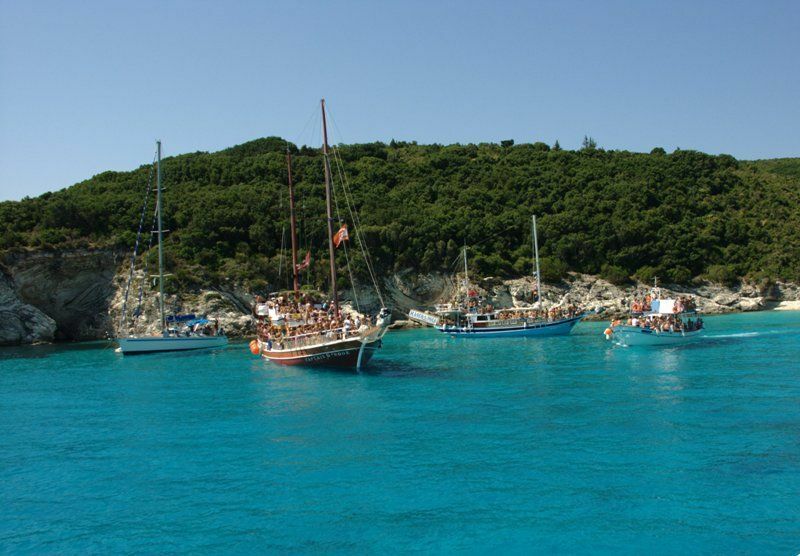 Most day cruises offer swimming or snorkeling as well as time ashore in Gaios town on Paxos. Check here for more information and to book your day cruise. 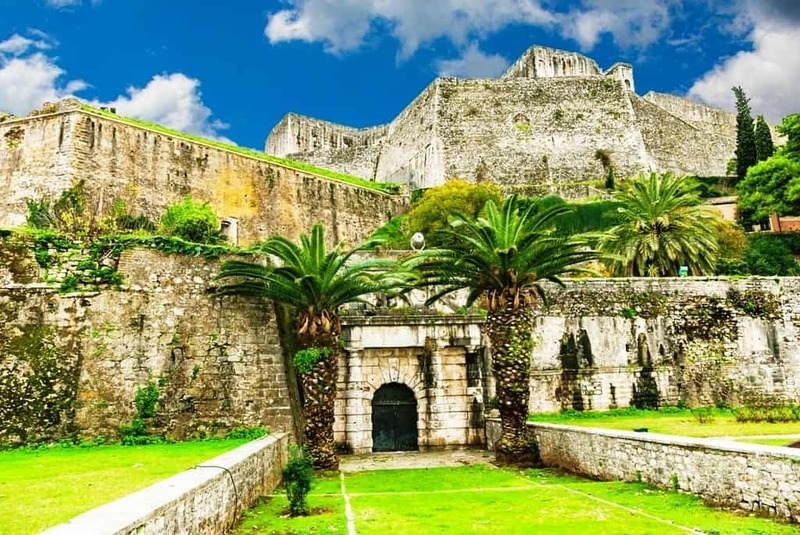 Corfu’s Old Fortress is one of the most popular attractions in the town. It is situated on the Acropolis which lies on the peninsula near the Byzantine-era town. The Old Fortress was built by the Venetians in the early 15th century to the 18th century, although none of those buildings remain. What currently lies within the castle walls was built by the British later. There are extensive tunnels beneath the stout, thick walls of the castle. The New Fortress, by contrast, is much smaller and had no residential dwellings inside it. It was built less than two centuries after the initial Venetian construction of the Old Fortress. The castle consists of two levels and is surrounded by a deep moat, which hindered invasions; the castle was finished at the same time as the city walls. Vidos Island lies at the mouth of the Port of Corfu and is most famous for its quarantine of Serbian soldiers during World War I. Corfu as an island sheltered many Serbian soldiers and civilians following their retreat from the Austro-Hungarian forces, although they kept many of the dying and sick on Vido to prevent outbreaks. Today, visitors can see the mausoleum dedicated to the soldiers on the island and visit the Serbian Museum in town. 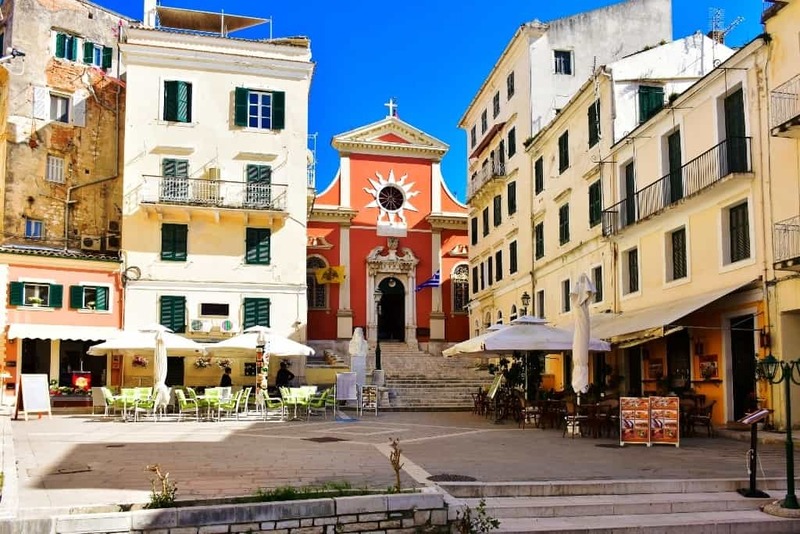 Spianada Square, which takes its name from the Italian spianare (“to flatten”) is the main square in Corfu town. 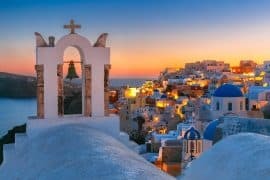 It is also the largest square in Greece, and dates back to the French occupation during the Napoleonic Wars. Spianada Square is the gathering place for many locals and is surrounded by various monuments, the Old Fortress, the Palace of Saints Michael and George, and the French arcades on the Venetian palace, known as the Liston. Saint Spyridon is the patron saint of Corfu, despite hailing from Cyprus. He is credited with saving the island four times from grave dangers, thus his designation as patron. 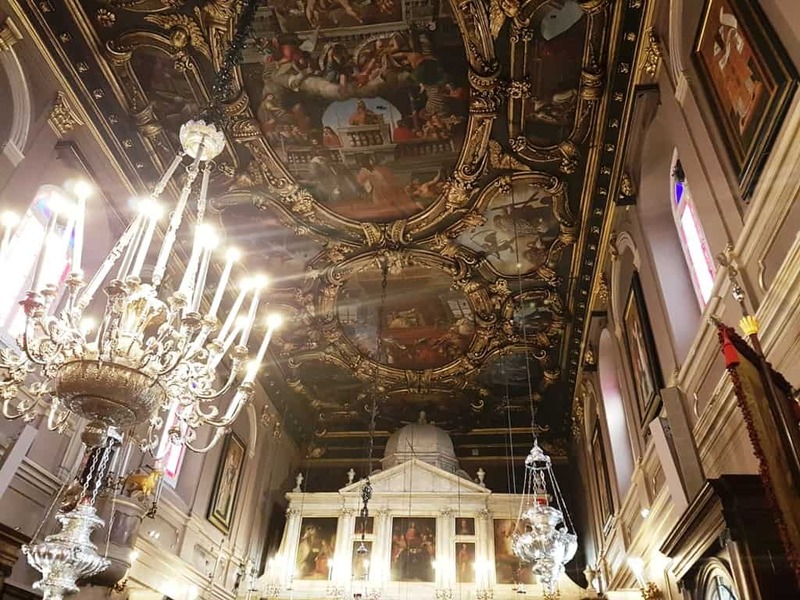 The St Spyridon Church was built in the Venetian style in the 1580s following the destruction of the private church which housed the remains of St Spyridon. His remains were moved to the new church where they lie entombed in a crypt on the main level. The Museum of Asian Art is located within the Palace of Saint Michael and Saint George. It was created in the early 20th century after a local collector decided to gift his collection of Asian art to the community. 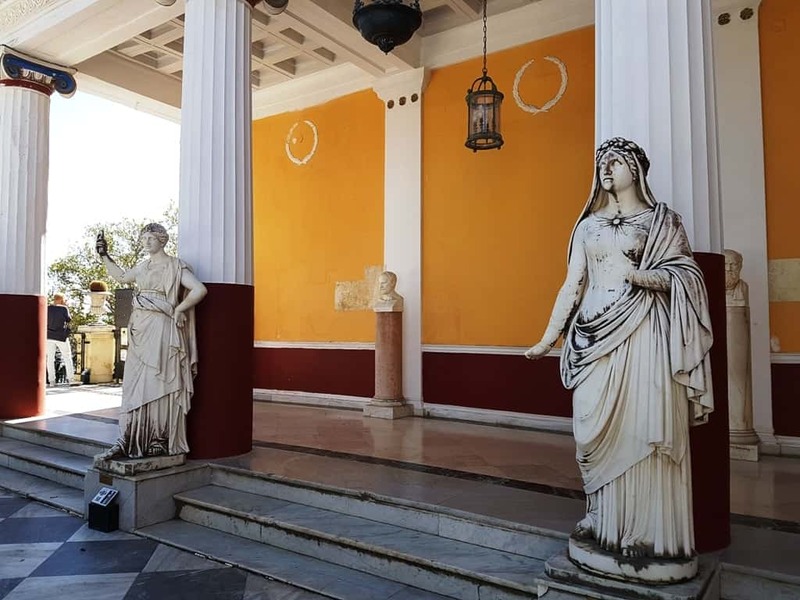 Various Greek diplomats also donated artwork over the course of the 20th century, and today the museum houses over 10,000 artefacts. Among the collection are Chinese porcelain, Japanese prints, bronze Indian sculptures, and wood carvings. 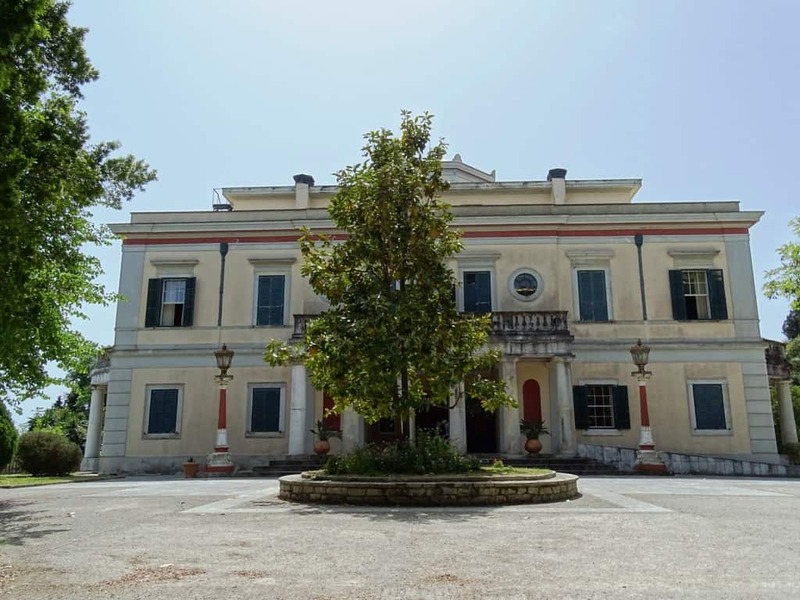 The Palace of St Michael and St George is also known as the City Palace, and was the seat of the high commissioner in the 19th century, later one home for the Greek Royal Family. It lies on one end of the Spianada Square and faces across the square. The Palace, designed by Sir George Whitmore, was the first Greek Revival Neoclassical style building to be built in Greece. 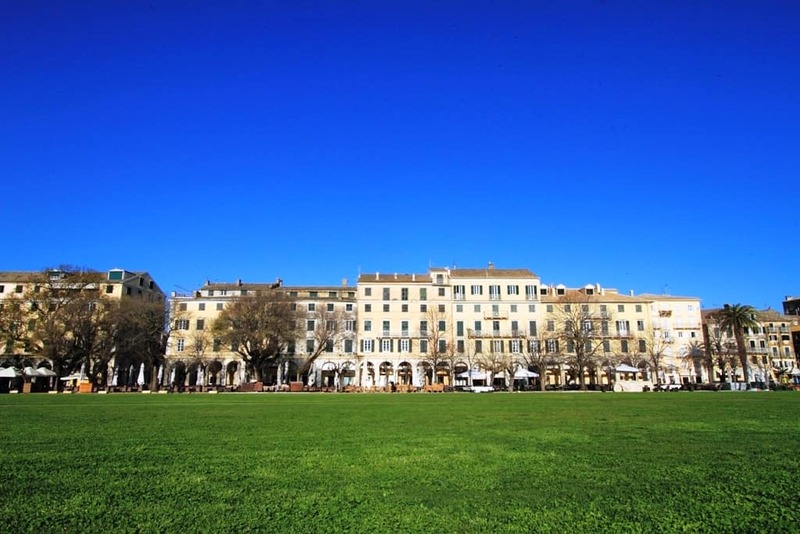 There are vast gardens, which look out over the Old Venetian fortress and include natural sea baths near the sea. The Palace now houses the Museum of Asian Art and a small cafe. 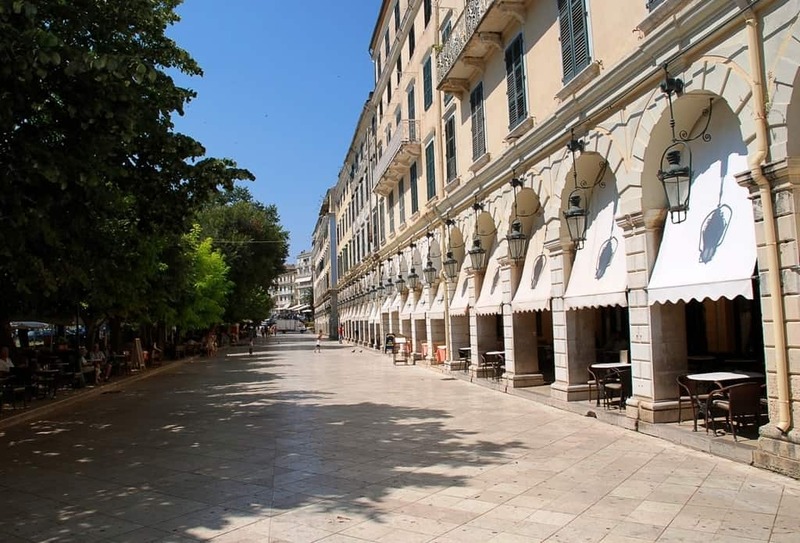 The Liston is the name for the beautiful French colonnades that line the Spianada Square. It was built by the French in 1807 and is a popular place for locals and visitors to enjoy a coffee, drink, or a cricket match. 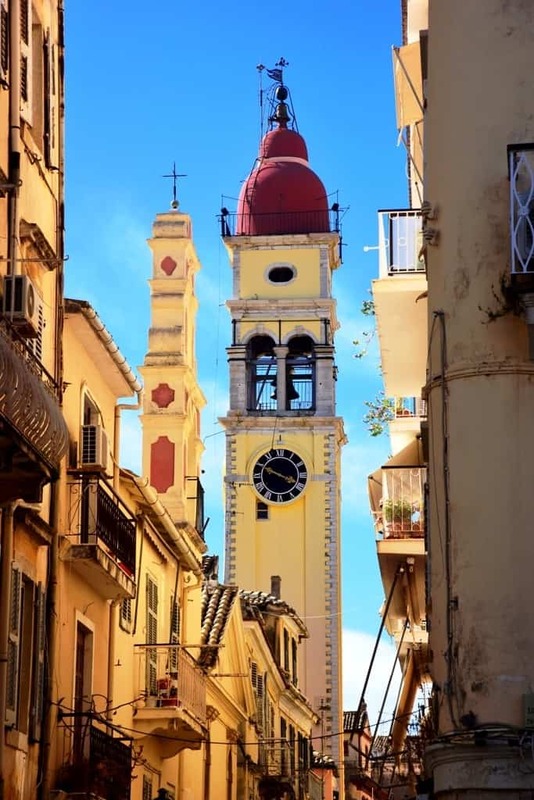 Like any small, medieval village, Corfu has its share of narrow, winding alleys, lined with ramshackle houses painted bright colours, tiny cafes spilling onto the lanes. 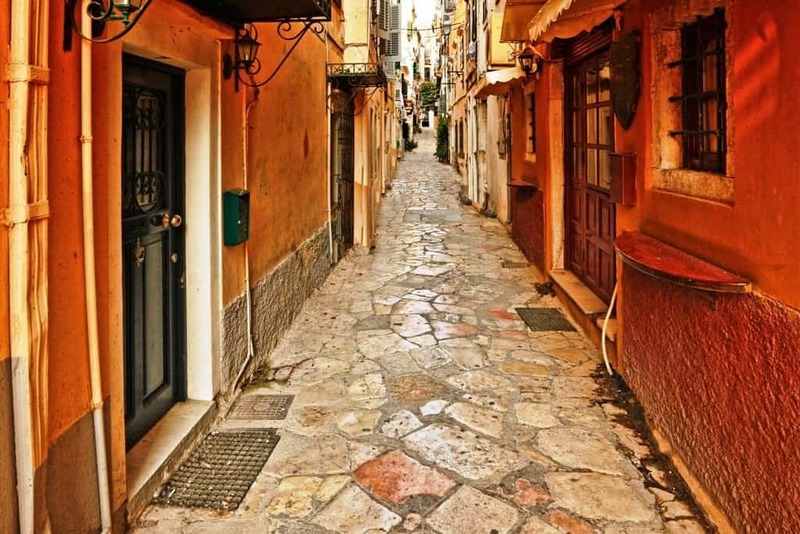 During a visit to Corfu town, a visitor should spend time exploring these alleys, capturing the minutiae of day to day life in Corfu. 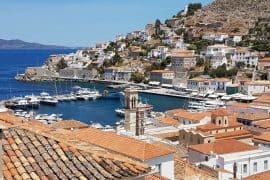 A list of what to do on a Greek Island would not be complete without a list of some of the best beaches! Here are a few to add to your list. 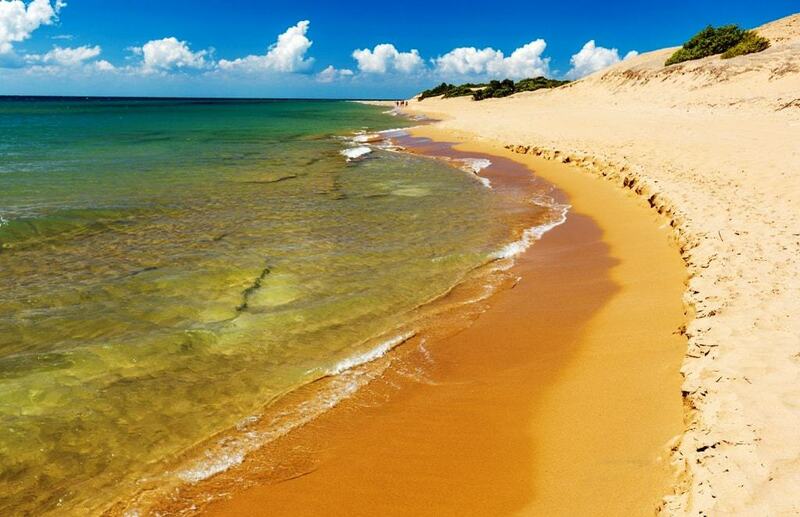 Canal d’Amour Beach lies near the town of Sidari, on Corfu’s northwest side. It is a small cove named for the narrow channel between the rocks that lead to the sea. Tradition says that couples who swim through the opening will get married within the year. Paleokastritsa is a popular beach resort on the west coast of the island. 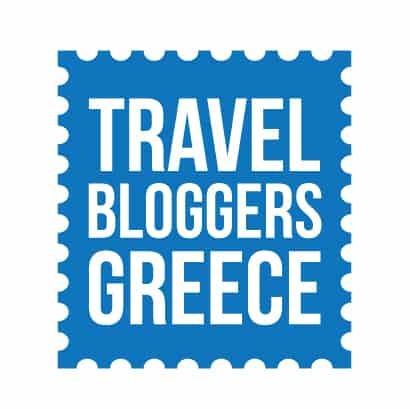 It is well known for diving and snorkelling as well as resorts, tavernas, and shops along the promenade. Paleokastritsa also has a famous monastery at the edge of town which houses a varied collection of post-Byzantine artefacts. 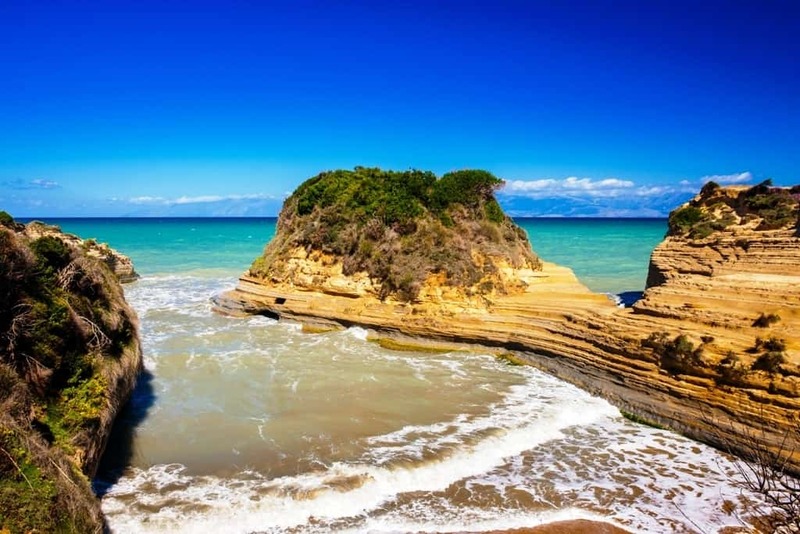 Glyfada is a great example of a wide, sandy beach on Corfu! It is a very popular with younger people and not very quiet. Unlike some of the other beaches, it has sunbeds and umbrellas. 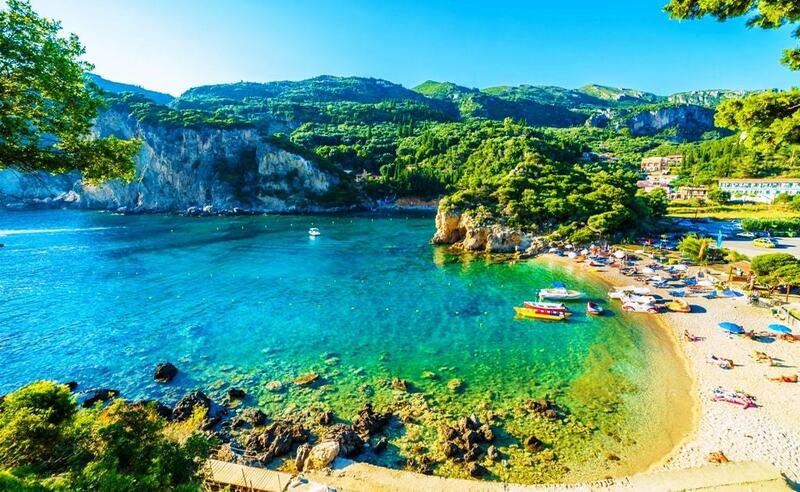 The surrounding area – lush trees, rocky outcroppings, and turquoise waters – makes it one of the most scenic beaches in Corfu. Issos Beach lies adjacent to the famous Korission wetlands lake. It is also surrounded by sand dunes and unique flora, which separate the lake from the shoreline. 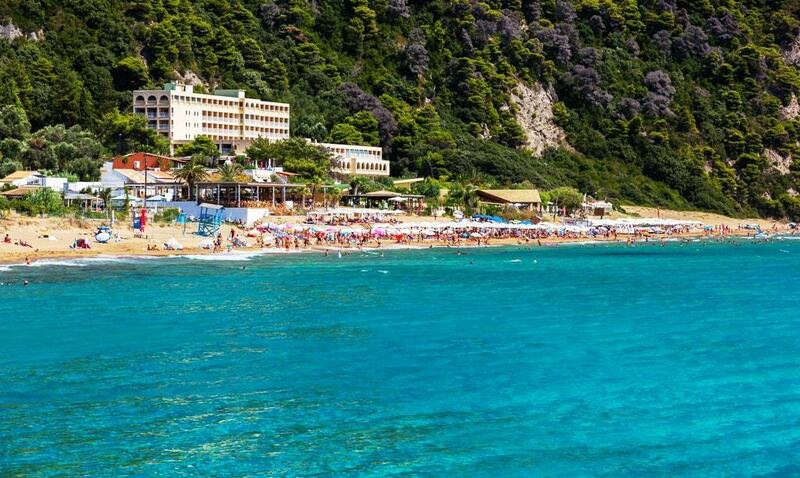 Issos is a great family beach and offers amenities like sunbeds, umbrellas, and a watersports centre. Due to the high winds on this coastline, Issos is a popular place for kitesurfing and windboarding. 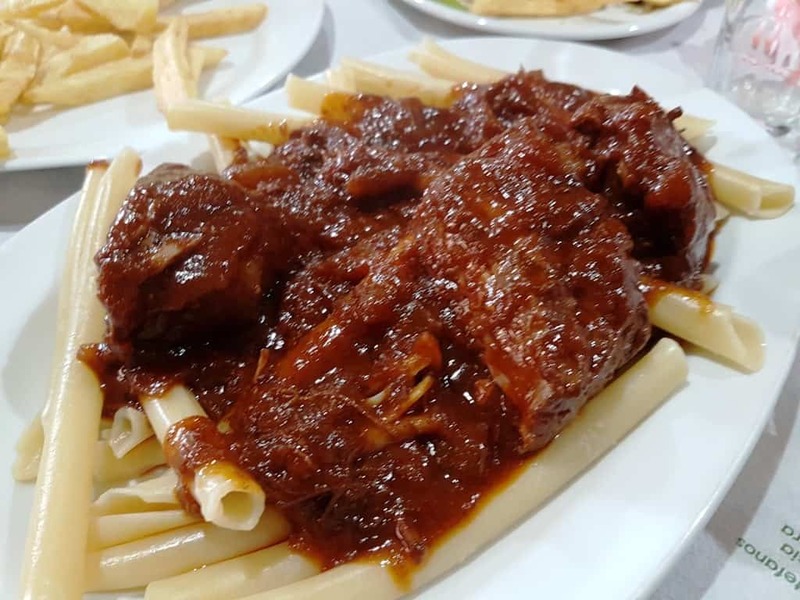 Of course visitors to Corfu can find traditional Greek and Italian foods, but there are some dishes that are traditional to Corfu one must try. 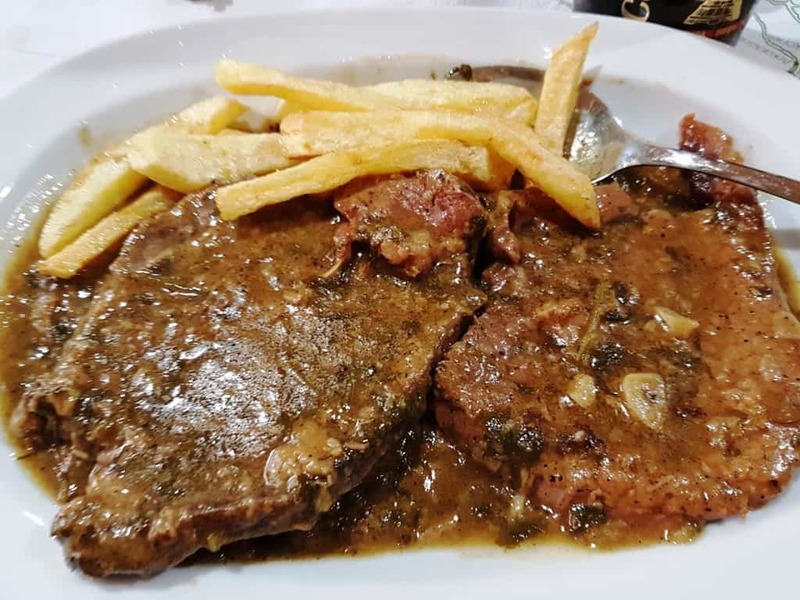 Sofrito is veal slowly cooked in wine sauce, with garlic and white pepper. It is often served with rice or mashed potatoes. Traditional Pastitsada is made with rooster, however more commonly it is made with veal or chicken. The meat is cooked with fresh tomatoes, wine, onions and cloves, cinnamon, and allspice. It is served with pasta or potatoes, usually as a casserole. Bourdeto is rockfish cooked in tomato sauce with onions, garlic, and spicy red pepper. The best fish for bourdeto is scorpion fish, however, moray eel and tope shark are also used. Kumquat is a citrus fruit that Corfiots use to make liqueurs, jams, and sweets. A kumquat, traditionally from China, looks like a small orange and It was brought to the island in 1846 and has since been cultivated here. The most common usage is to make a liqueur which you can buy almost anywhere on the island. 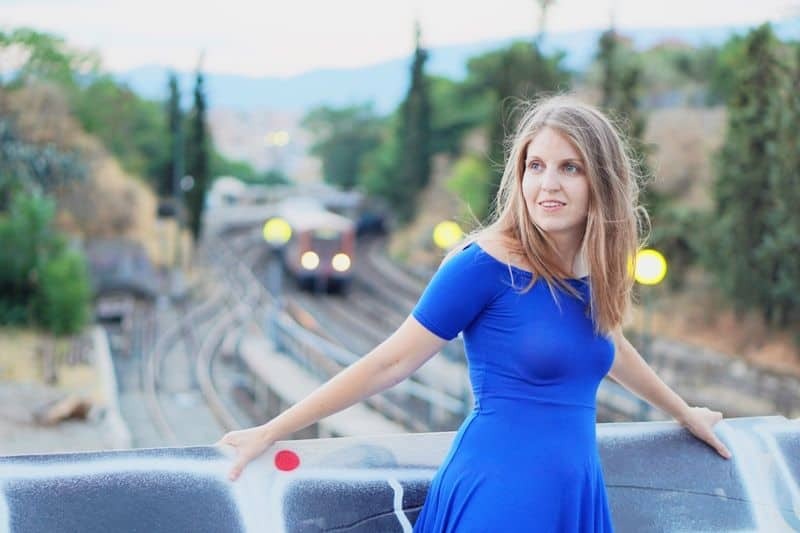 I have been to Corfu many times and have stayed at my friend’s house in Corfu town. 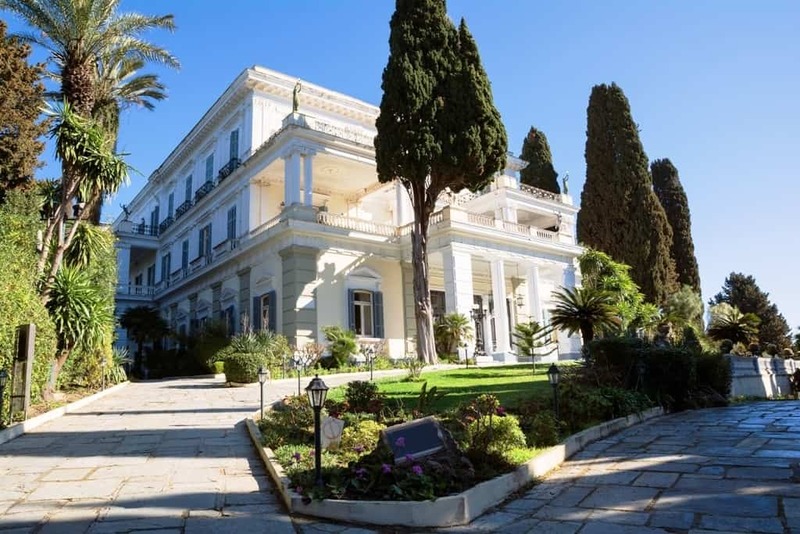 On my recent visit we stayed at the Marbella Corfu. 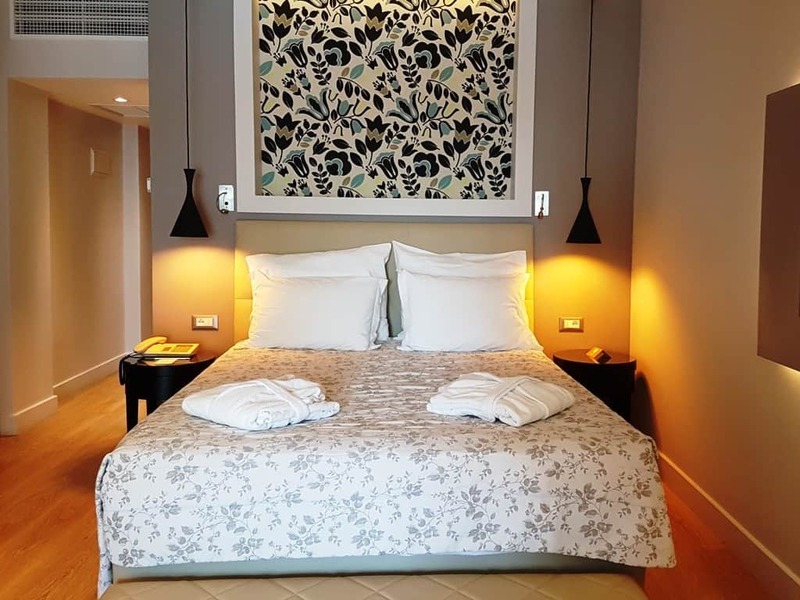 It is a 5-star luxury beach resort located in Agios Ioannis Peristeron, southern of Corfu town. The resort boasts more than 380 rooms, 2 swimming pools, a private beach, a kid’s club, a spa, 10 restaurants and bars and beautiful gardens. We had a junior suite with private pool overlooking the garden. The staff were very welcoming and friendly. 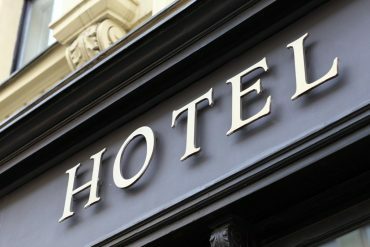 The hotel makes also a great place to explore the island. 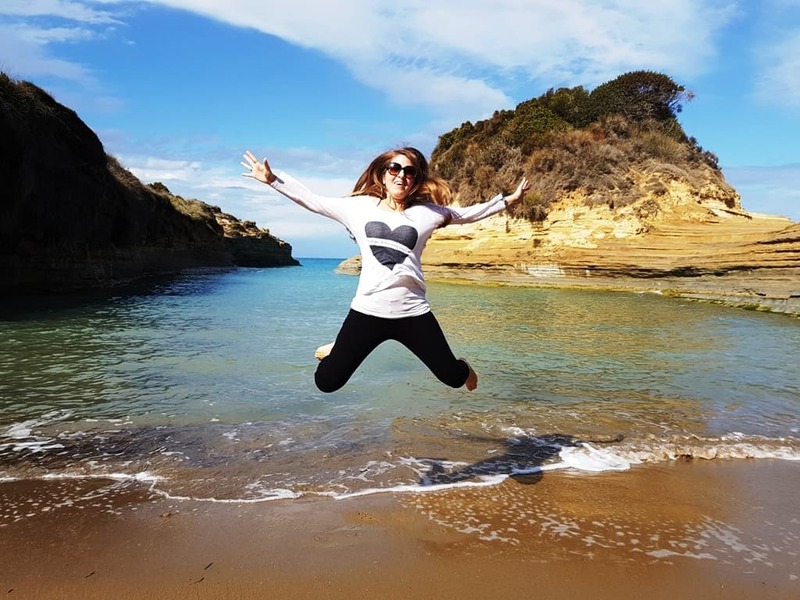 Click here to read more about my stay at the MarBella Corfu. 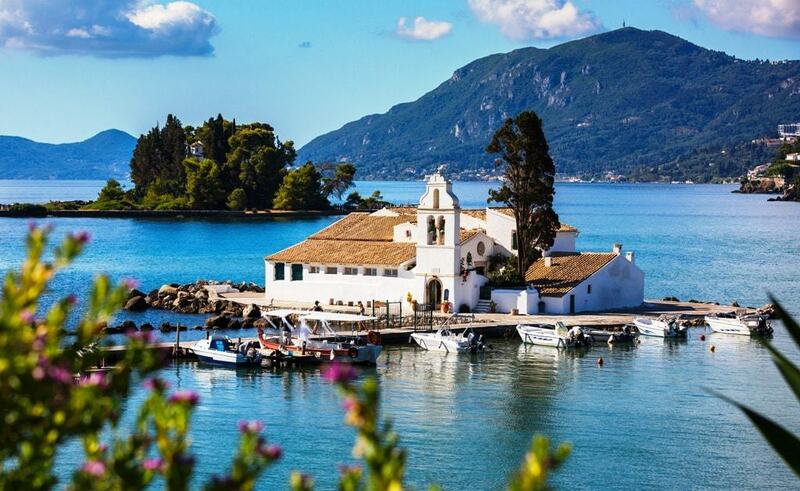 For such a small Greek Island, Corfu has plenty to do! 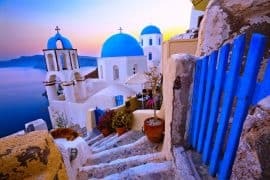 Its location on the western side of Greece makes it easily accessible from Athens or Italy. 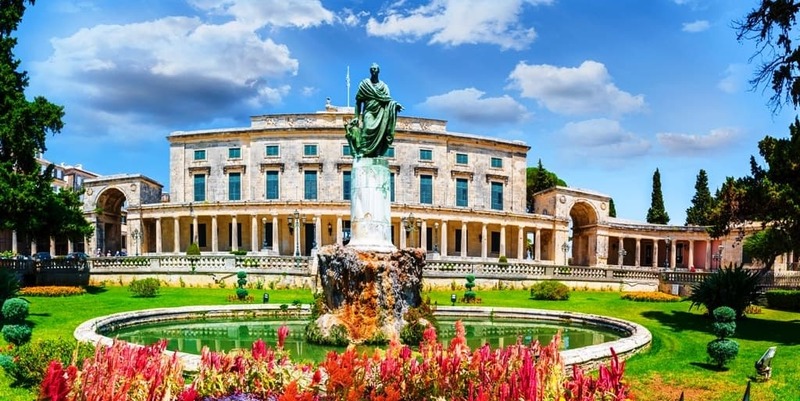 With a history unlike any other Greek Island and a strong Venetian heritage visitors will find in Corfu a unique experience and warm hospitality. Have you been to Corfu?